You buy life insurance to provide for your dependents when you’re no longer around to do so. 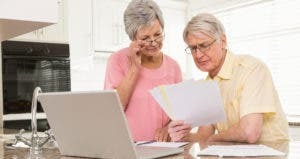 Since none of us comes with an expiration date and since life by its very nature is all about change, it can be tough to accurately predict your family’s financial needs years from now. So, how do you know how much life insurance to buy? Bankrate’s life insurance calculator can walk you through the basics. The ages of your spouse and children. Your mortgage and other debts. College expenses for your children and/or spouse. The size of the last bill you’ll ever incur: your funeral expenses. To address this guessing game, insurance companies and financial planners have devised models to help you zero in on this perpetually moving target. Three approaches are most common. This industry standard recommends that the death benefit, or payout amount, of your life insurance policy should be seven to 10 times your annual income. 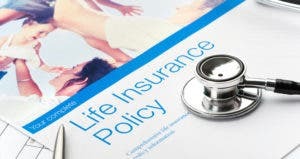 “So if somebody is making $100,000 a year, somewhere between $700,000 and $1 million would be the life insurance amount to keep a family in good shape if this person dies,” explains Etti Baranoff, an associate professor of insurance at Virginia Commonwealth University. But Daily cautions against putting too much faith in this rule of thumb. “How could you come up with the same number whether you have one child or 10? Or one house or several?” he wonders. The shortfall approach works backward from the annual income you would want to leave your spouse and family for X number of years. After you decide on this target number, you then subtract all other sources of annual income that will be available to them, such as your retirement accounts, pension, savings, your spouse’s salary and Social Security. The resulting number is the shortfall you’ll want to replace with life insurance. Some prefer to set their sights on building up a large life insurance investment that would generate earnings to provide a beneficiary with annual income. For instance, $1 million invested using a conservative average annual yield of 4 percent could provide $40,000 a year to a spouse or family in perpetuity. 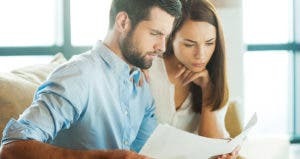 “While the need for life insurance is temporary for most dependents, there are exceptions, such as a special-needs child who will never be self-supporting, where the need lasts the rest of their life,” says Steuer, who also is the director of financial preparedness for the insurance consumer group United Policyholders. Daily says that while no single model fits all families, everyone can benefit by test-driving one or more. Your age: Premium rates generally increase with age. If you’re young, term life (covering a certain number of years) is the cost-effective way to cover your risk and keep your future life insurance options open. Age of spouse and children: This will help you estimate how many years of income replacement they’ll need if you were to die. Mortgage and debts: Wrap your home mortgage, car loans, student loans and other debts into your life insurance planning. College expenses: Factor in future education expenses for the kids, and possibly your spouse. Tuition and fees for four-year colleges have been increasing by up to 5.2 percent, on average. Your current income: If you’ve retired your debt and laid aside college funds, you may not need to replace your full income. Some advisers recommend 50 percent replacement as a starting point. Funeral expenses: The average cost for a funeral, burial and related expenses runs more than $7,000, while cremation costs range from $2,000 to $4,000. Don’t stick your loved ones with the final bill. Once you arrive at a ballpark coverage figure, Steuer suggests letting your individual circumstances dictate whether to use a cash-value whole life (permanent) policy, term life or a combination. 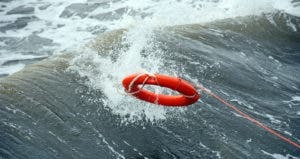 All three experts caution against falling for the siren song of cash-value life insurance products that promise big investment returns that you might tap into while you’re still on this side of the lawn. Which is better for you: Term or permanent life insurance? Survey: How many of us have life insurance? And how many have enough of it?